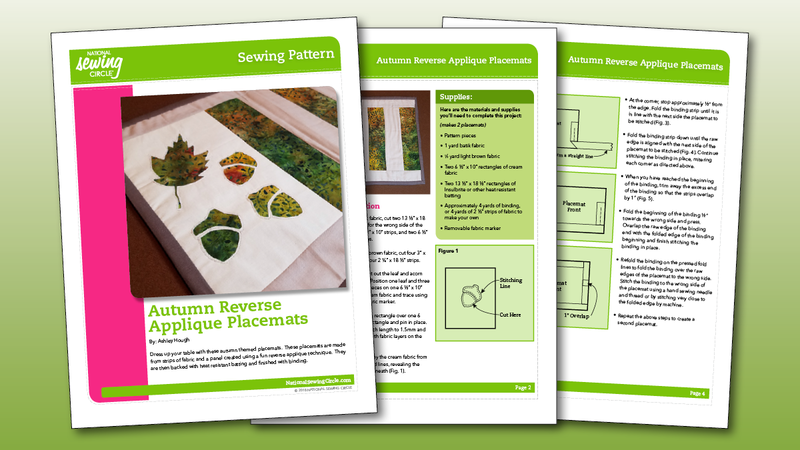 Dress up your table with these autumn themed placemats. 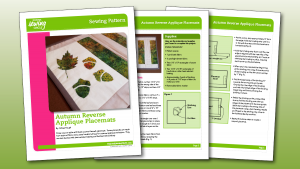 These placemats are made from strips of fabric and a panel created using a fun reverse applique technique. They are then backed with heat resistant batting and finished with binding.